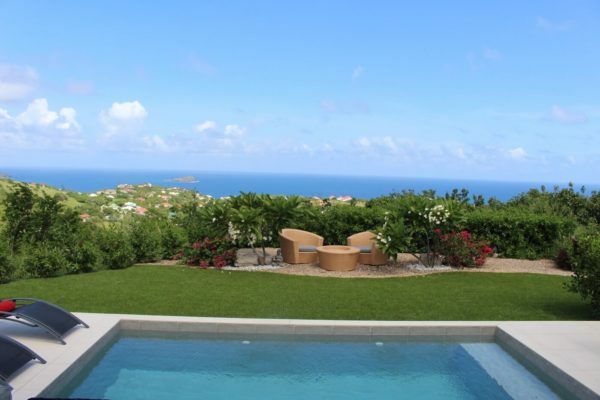 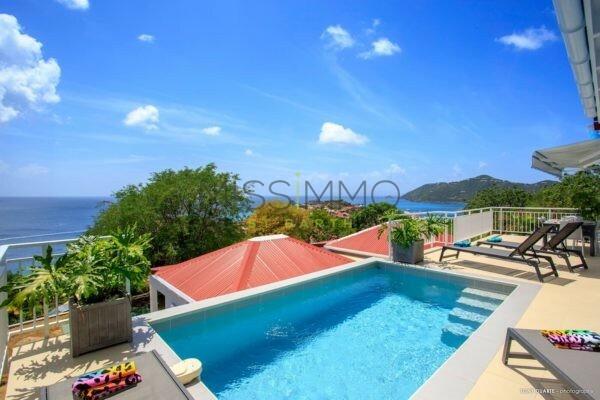 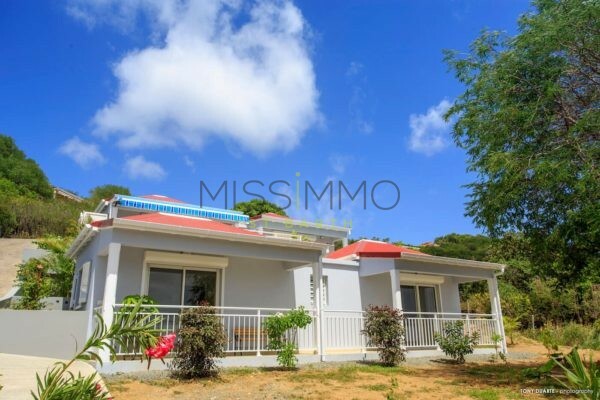 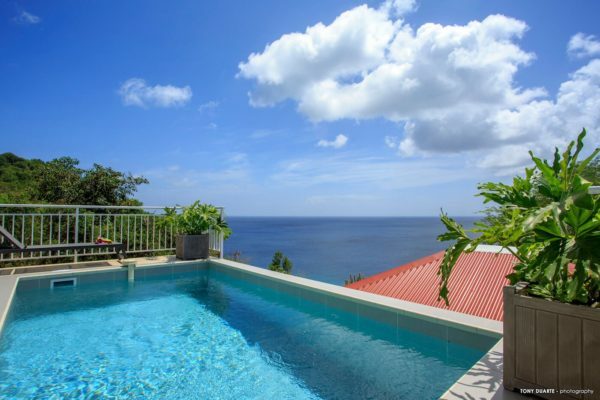 Villa Gros Islet is a 2 bedroms villa in Lurin, at the exit of Gustavia. 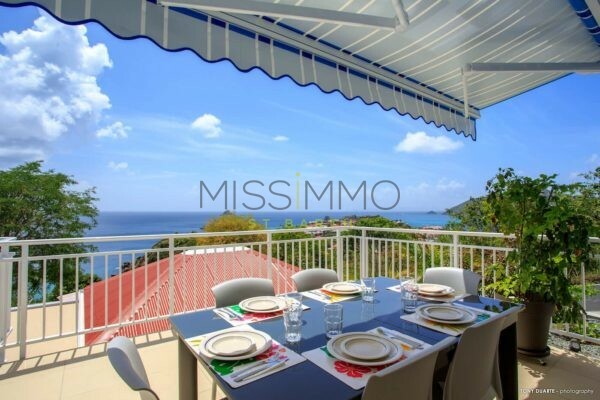 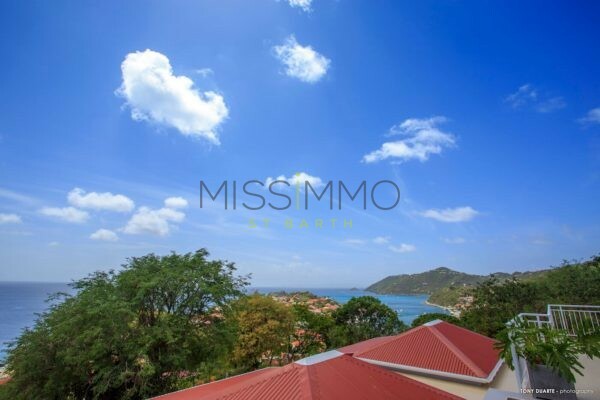 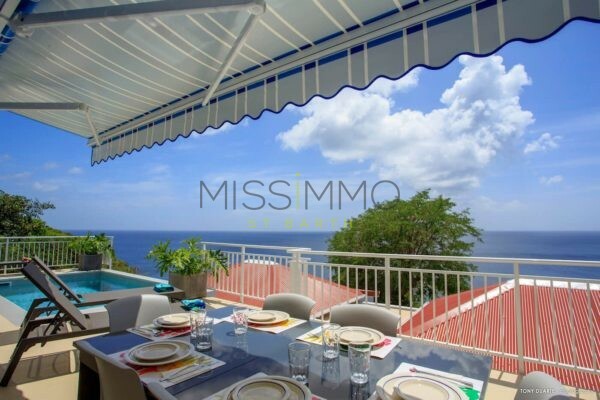 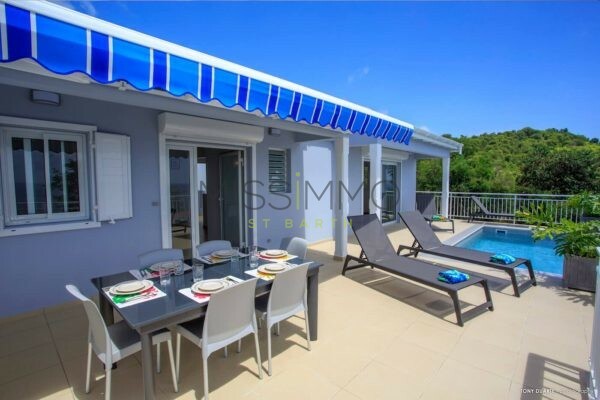 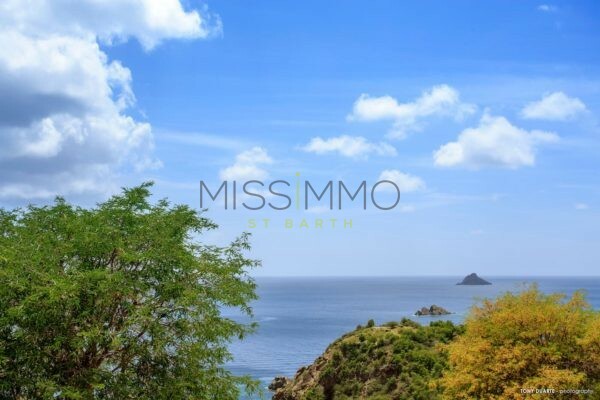 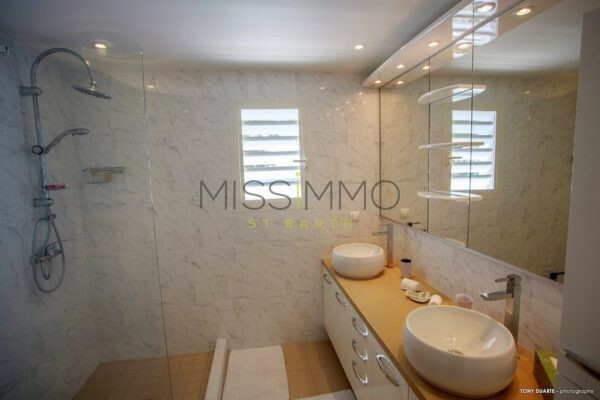 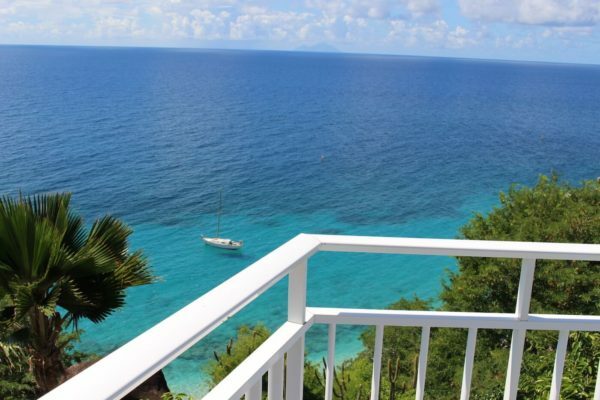 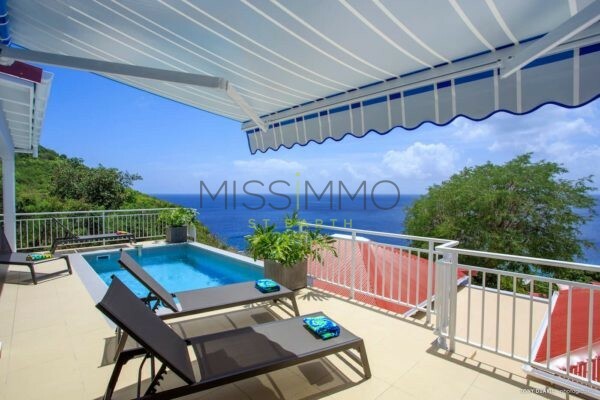 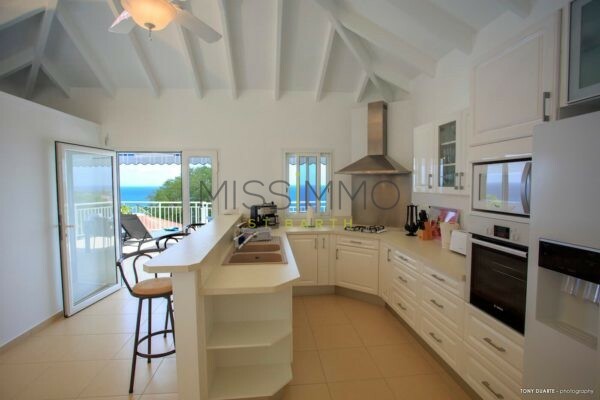 Comfortable, this villa offers a superb view of the sea, the marina of Gustavia as well as on the island of Saba. 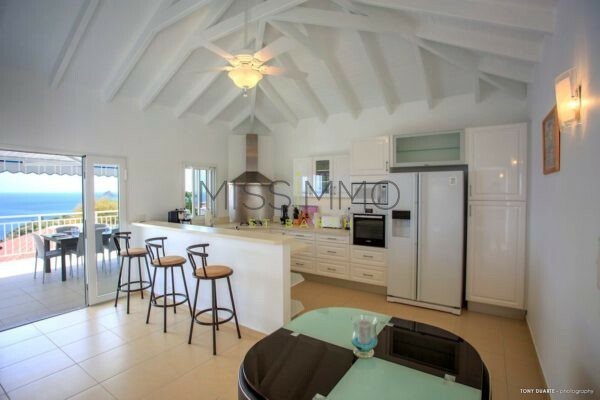 The main floor features a living room with air conditioning, a kitchen and a beautiful terrace with pool. 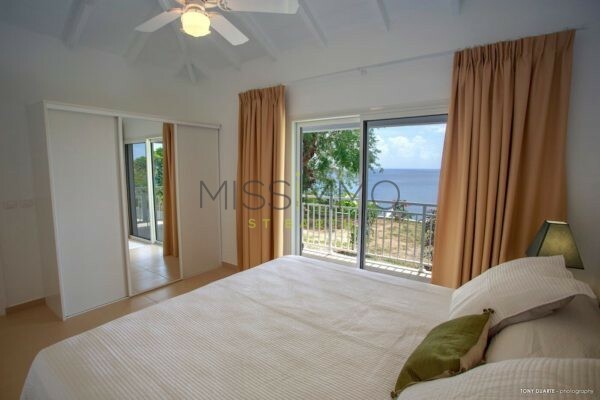 The two identical bedrooms are on the lower level, each with en-suite bathroom with shower. 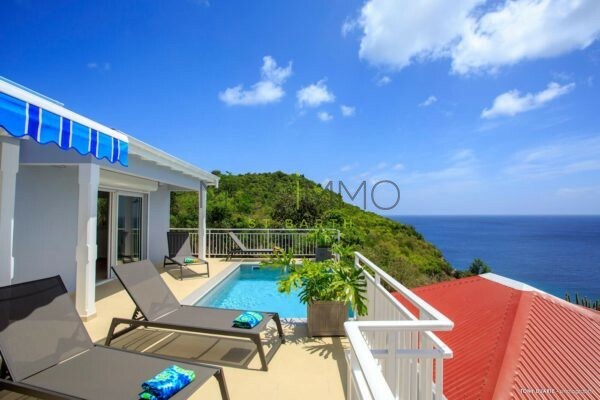 For a holiday with family or friends, this villa is perfect for you! 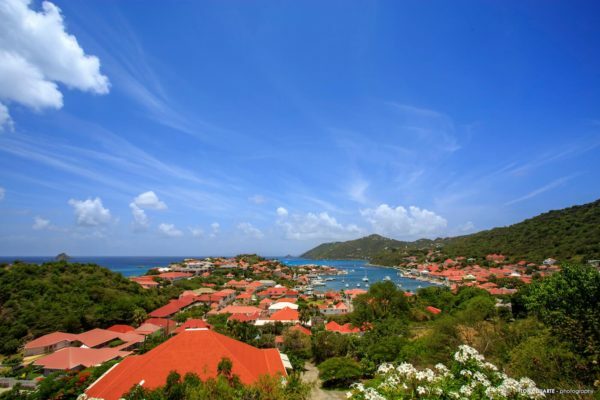 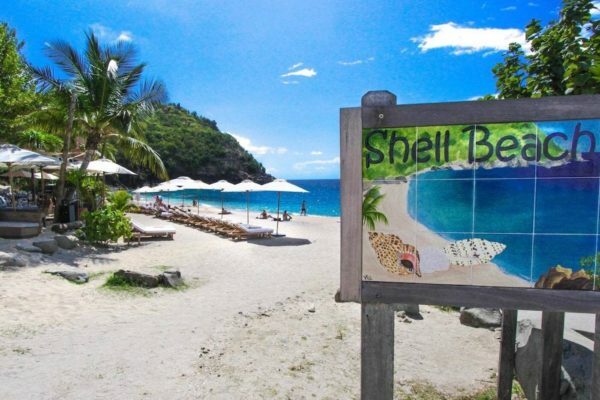 At the exit of the main town of Saint Barth, the villa is a few minutes away from the hustle and bustle of the capital. 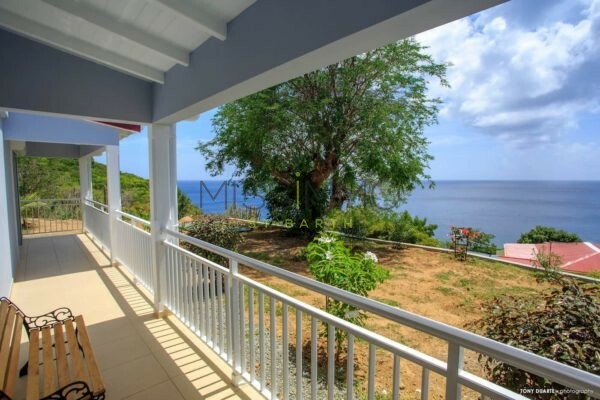 The property is still quiet thanks to the soothing sea view and the sound of the wind caressing the hill. 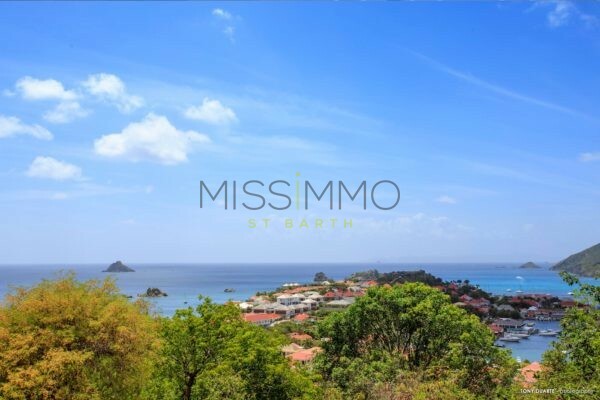 Enjoy memorable fireworks from the collectivity of St Barth during the holidays (July 14th, New Year…). 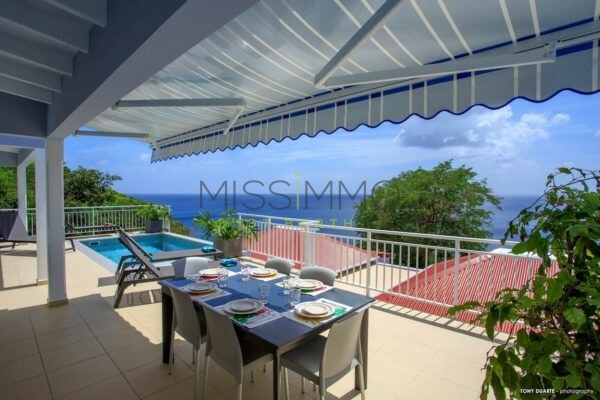 Pool – Gas Barbecue – Lounge chairs – Dining table. 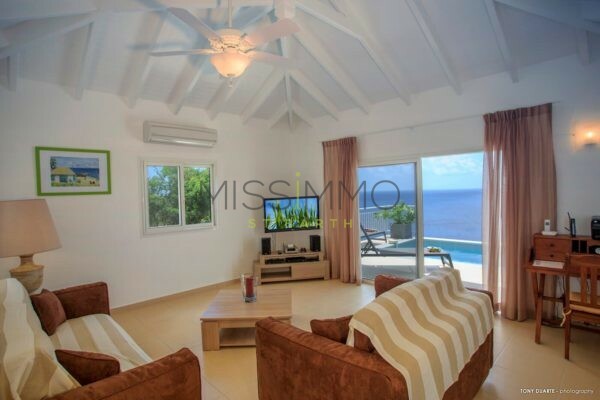 Air conditioning – TV – US Satellite – WiFi – CD & DVD Player – Fax machine – Mosquito net – 110 volts plugs. 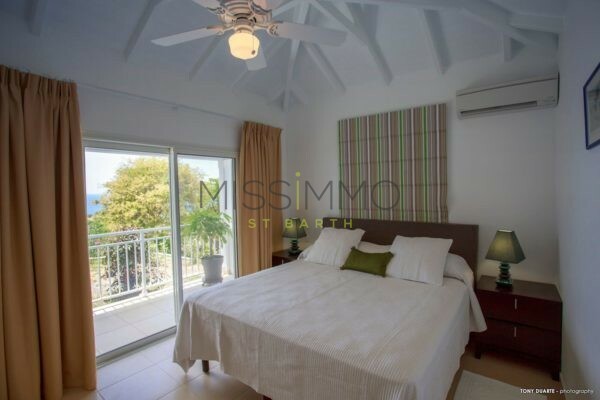 Equipped for 6 guests: Air conditioning – Fridge – Freezer – Oven – Cooktop – Dishwasher – Microwave – Coffee machine (Regular & Espresso) – Toaster – Ice maker – Kettle – Blender – Breakfast bar 3 seats. 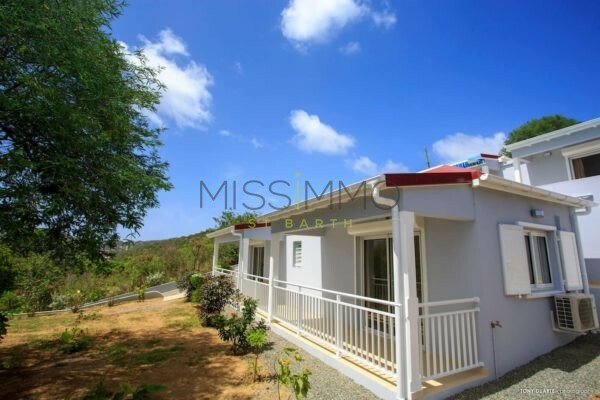 Air conditioning – Euro King Size Bed – Mosquito net – Safe -Bathroom with shower.